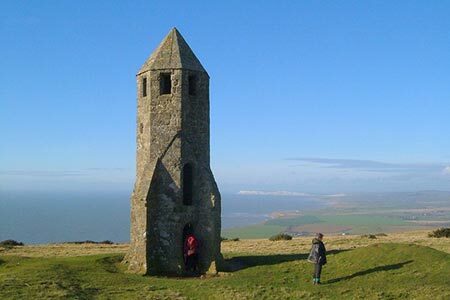 Isle of Wight walk from Whale Chine that climbs onto Catherine's Hill to enjoy the view and see the historic oratory. The route then descends to the coast and follows the Coastal Path over Gore Cliff, through Blackgang and Chale to finish the circuit along Walpen Chine. A GPX File is available for download (see walk description). Guidebook to 33 walking routes on the beautiful Isle of Wight, from 4 to 18 miles long. The routes are suitable for all abilities and are accessible all year round. Includes a complete circuit of the island's spectacular coast as well as walks exploring forest trails and downland, and visiting the towns of Yarmouth, Cowes and Ventnor.